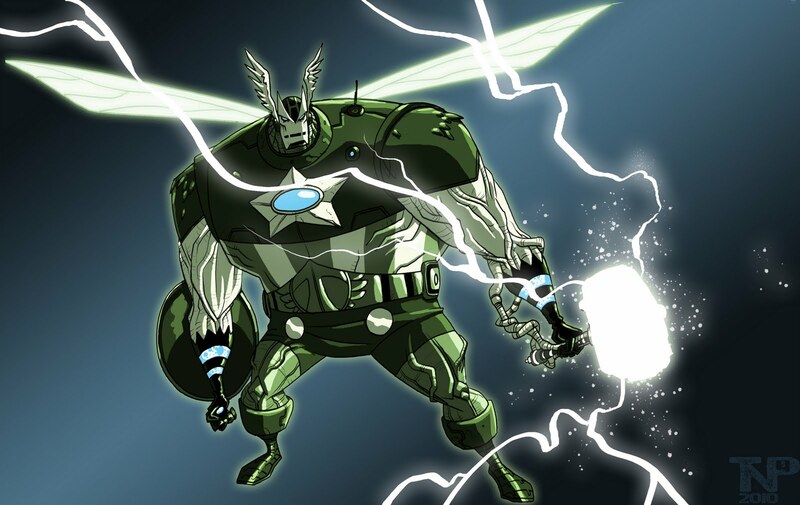 Posted October 24, 2010 in Fantastic Four, Super Adaptoid, The Avengers, Thomas Perkins. Thomas Perkins makes a quick return to the blog with two wonderful pieces. First up we have Super Adaptoid, one of Thomas’ all time favorite weird villains. That’s followed by a Fantastic Four tribute, The Quantum Quartet, created for friend of Kirby-Vision, Evan Shaner. 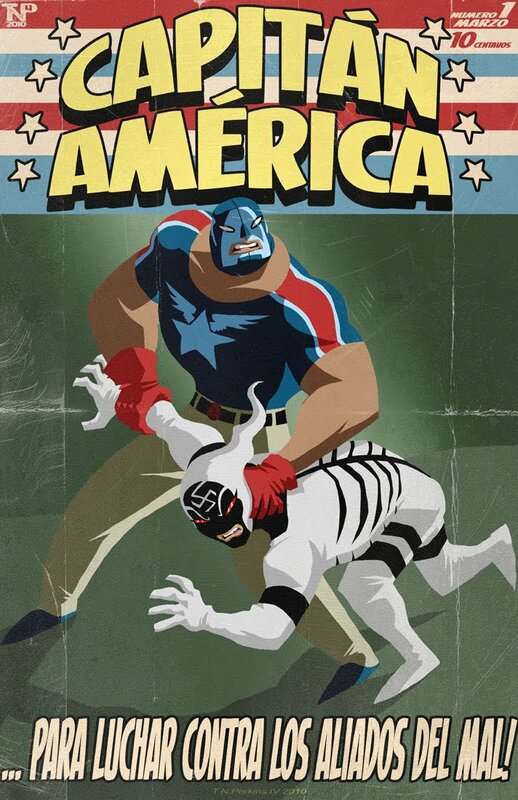 Posted October 3, 2010 in Captain America, Paul Sizer, Thomas Perkins. This week over at the Whitechapel forum, Warren Ellis laid down the gauntlet to re-imagine Captain America from just a few scant lines of description. Below we present a couple of designs from Kirby-Vision contributors, Paul Sizer & Thomas Perkins. 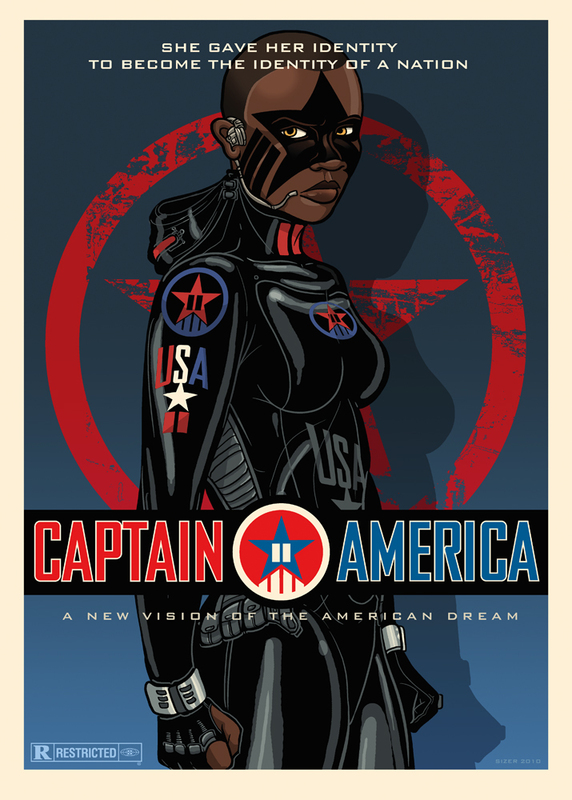 You can find more imaginative interpretations of Cap at the remake/remodel thread here. 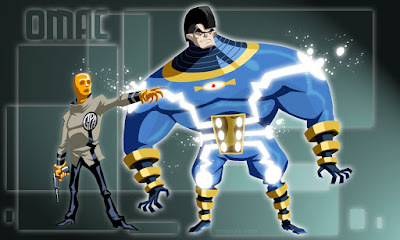 Posted May 29, 2009 in OMAC, Thomas Perkins. Thomas Perkins has spent the last ten years as Character Designer on a variety of animated projects that include: The Batman, Spectacular Spider-Man and Ben 10. As well as his work as a Freelance Props Artist, Thomas has recently provided artwork for the Komikwerks anthology ‘Thrills & Chills’. More artwork can be found at DeviantArt and Thomas’s portfolio blogs here & here.